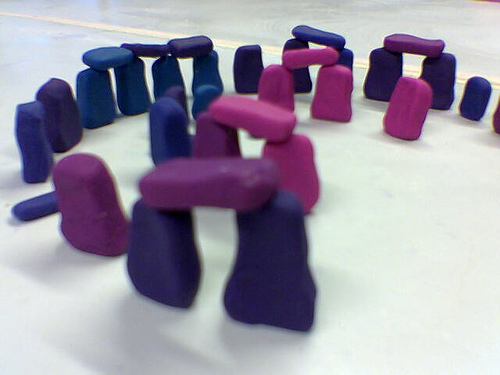 A henge of Plasticine (much like Playdough, for those on the left bank of the Atlantic), made and photographed by Alice Yeah on Flickr. It is part of the Flickr Thinghenge group, which is, for us, a thing of great wonder. We hope to bring you more from there over time. 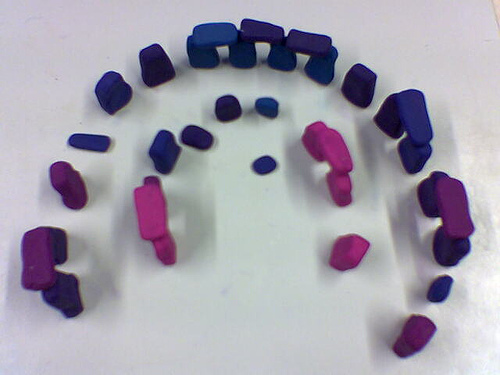 The colo(u)rs here are pleasing, too, and she took care to make it resemble the real Stonehenge with some flat stones and a limited number of lintels. Nice, too, that we have an aerial view . . . Score: 6 ½ druids. Those stone shapes are good. It’s close to a seven. Thank you, Alicia!